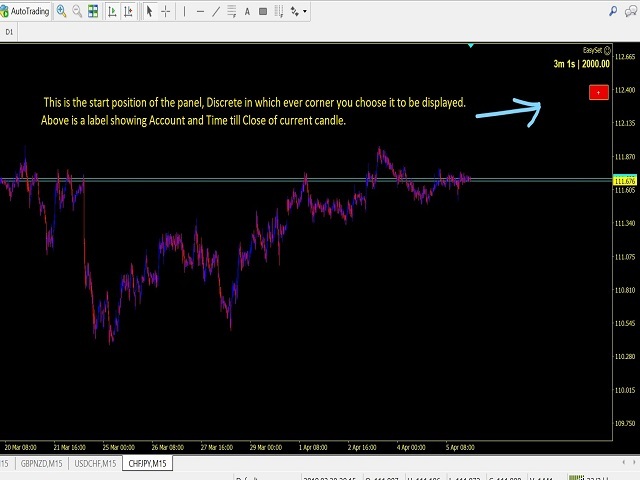 Description - Simple to use Panel to help with trade set up and Risk Management. 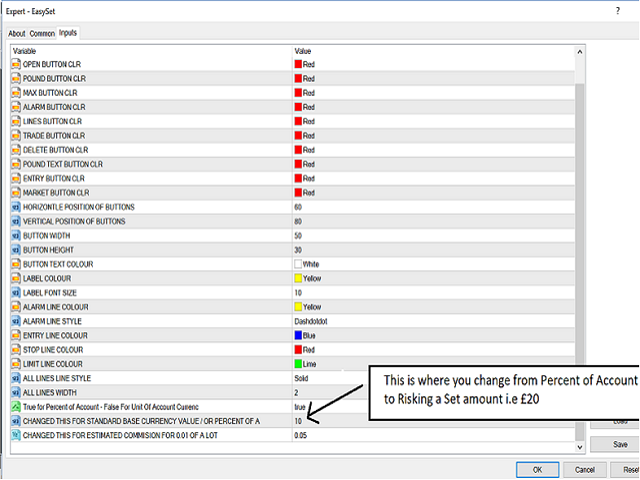 Simply set you preferences and drag and drop the Entry, Stop and Limit lines to where you would like them, all Lotsize calculations are worked out for you automatically then all you have to do is press the trade button. 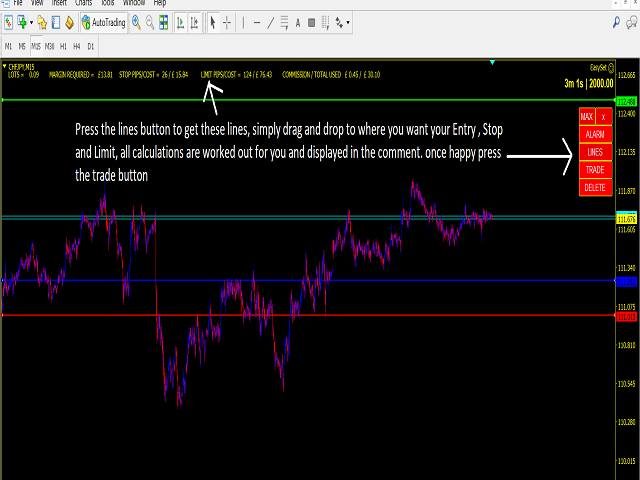 Also Market Entry Option is available so just Set your Stop and Limit lines to enter your Market at price. Also features easy to place alarm lines, one UPPER and one LOWER line and will send Notification if these lines are crossed.